I watched the first series of the Black Lagoon anime over the holidays. It centres on Lagoon Company, a gang-for-hire who live on an island of mobsters, racketeers and hoodlums in the South China Sea. 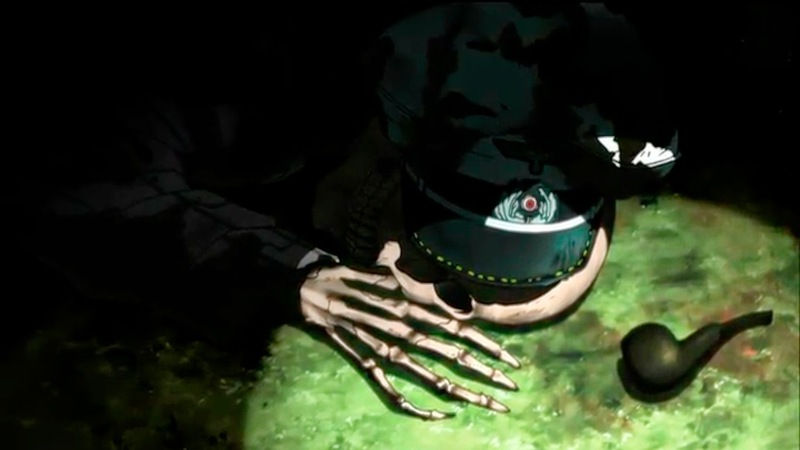 In one of the Black Lagoon arcs, there's a story line that features the fall of Berlin in 1945, a sunken Nazi submarine, Nazi treasure and contemporary Nazis (who all turn out to be property developers which is a nice twist!). 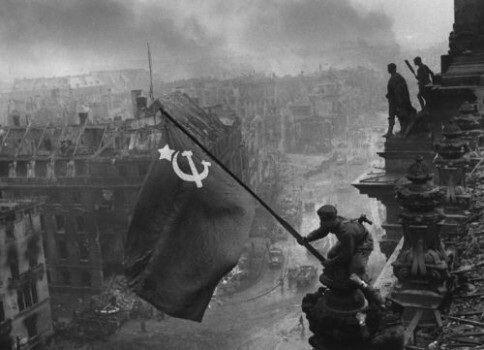 The story is introduced with an anime version of Yevgeny Khaldei's Raising the Red Flag over the Reichstag. It's an accurate (?) depiction but cleaned up after an anime fashion. 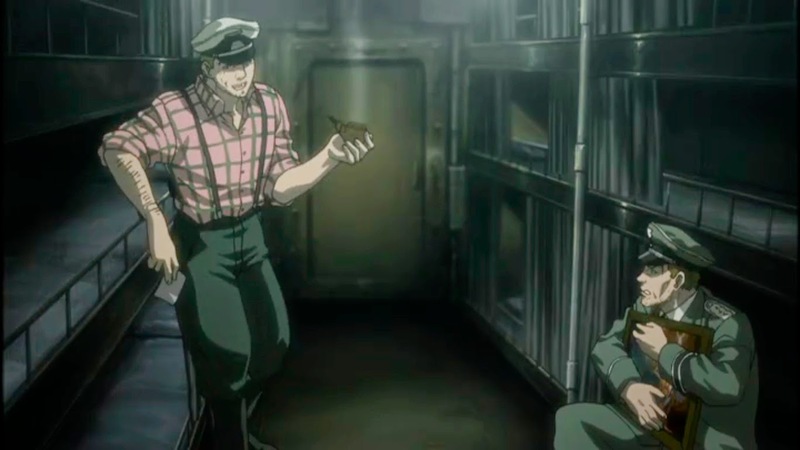 What's interesting is why they include an anime version of such an iconic photograph and how this fictionalisation works within the bounds of Black Lagoon. b) when pictures form a more random catalogue, a scientific ordering can be applied to them which somehow makes the photographs then become scientific. It's a kind of alchemy in other words. The touch of science gives the pictures a magic scientific sparkle. 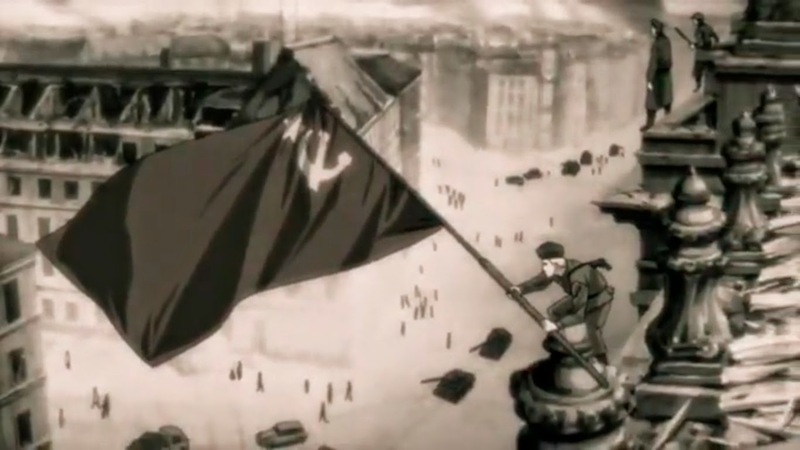 The anime version of the Red Flag over the Reichstag is used as a historical verifier for Black Lagoon. It has the alchemy of b), it's part of a visual history where the Reichstag picture adding a tab of authenticity to the show, a glint of photographic sparkle that makes everything a bit more real. 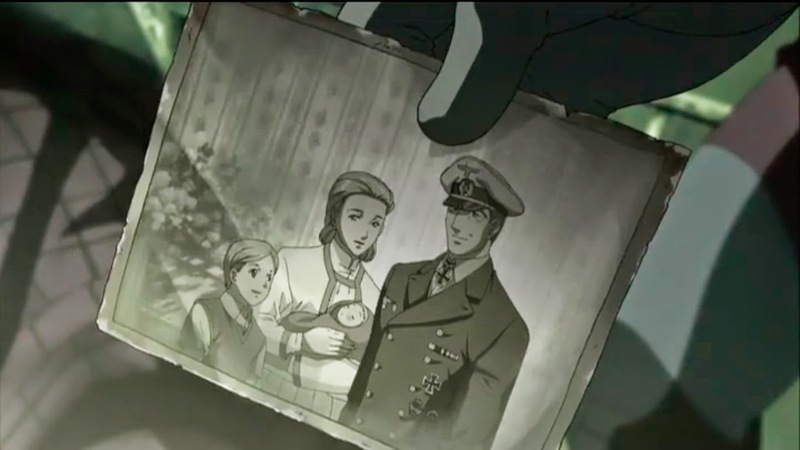 Later on we get family pictures of one of the submarine captain, with the same picture being shown both in 1945 when the captain is alive and then in the present when the captain is dead. 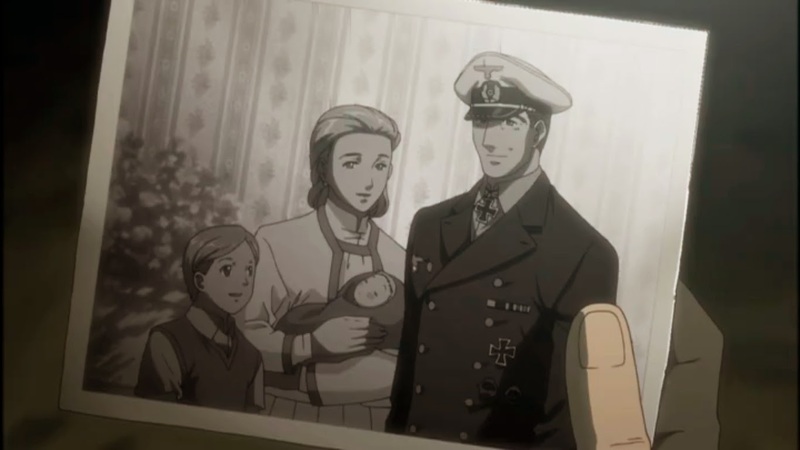 Here the portrait of the captain's wife and children uses the alchemy of the his family album to show his essential humanity to the evil SS man. Alchemy is everywhere. We go to the future and the captain is dead, but his picture remains, now lightly stained and ripped, creating distance in time, ideology and intention. The alchemy of what we consider the past is at work here. It's a strange thing to see photographs used in film, especially animated film, where there is a simultaneous appeal to some mythical photographic authenticity and a subversion of that authenticity through its animation. But then perhaps there are things more powerful at work here; the integrity of the narrative structure and the essential alchemy of the photograph, the way in which we categorise it, the way we attach it to whatever area we think it lies closest to (science, history, family in this case) and the way in which it acts like a lightning rod for our faith and our belief in the basic constructs of life. We believe in it even when we know we shouldn't. 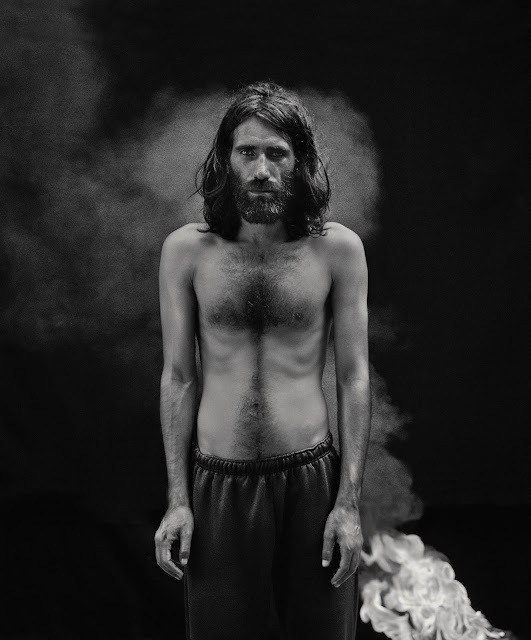 That's the alchemy of the photograph. Showdogs: A Fun Book for All the Family! Don't ask for the meaning, ask for the use!